After 2 generations of Jun Jo Model, reliable & versatile 5 plug design that can cover small, mdedium to larger barreling hollow wave, this Spring of 2017, we came up with 3rd generation named “ 303 x JJ3 Model “. Mostly based off of JJ2, this one have 4 channel with attractive swallow tail. Most of contemporary 3 fin designs have smooth concaved bottom, but JJ3 intentionally re-introduce channel bottom design, that translates passing water under the board into source of speed and drive. May be won’t work as good on bumpy surface but, great for those who can enjoy something different from ordinaly board designs.Glassy and hollow condition is what this board shines the most. 4 channel, instead of 2 or 6, represents Kohei Chiba’s personal preference. Always making new designs , always making surfing better for different conditions Kohei and myself have created the JJ 3 model board. The model has a very clean out line and clean rocker whats special with this model is the channel bottoms. The channel bottoms help give the board extra quickness off bottom turns , top turns and cut backs. The extra speed when you need it helps get around sections quicker and turns quicker but with that magical flow that all Koheis boards have. 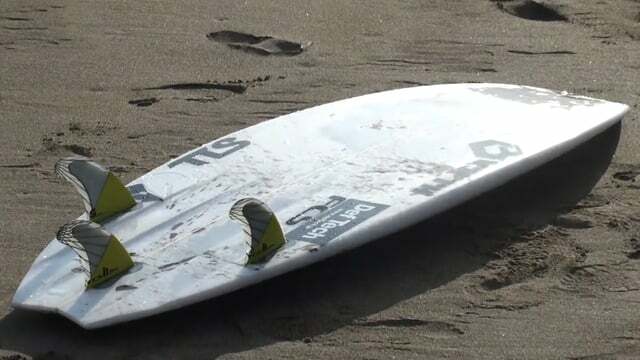 This board has been tested from small mushy beach breaks to the hollow river mouths.